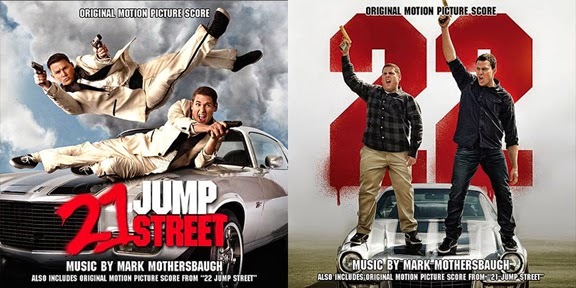 La-La Land Records and Sony Pictures are jumping for joy over the release of Mark Mothersbaugh's (The Lego Movie, The Life Aquatic) fantastic score to the hit films 22 Jump Street and its predecessor 21 Jump Street! Thematic, bold and heroic action music fills up this brand new 2 cd set featuring one of the most infectious “HERO” themes we have heard in a long time on the silver screen. We are thrilled and delighted to be releasing these 2 wonderful scores for the first time anywhere! The "Jump Street" franchise joins that long list of fantastic buddy cop action comedy flicks filled with suspenseful cues, action packed motifs and just a hint of lunacy to all the shenanigans Jenko (Tatum) and Schmidt (Hill) get themselves into. As bonus tracks, Composer Mark Mothersbaugh has included fun remixes of his themes from both films. Booklet features a nice reversible cover. The first 100 people who purchase the cd directly through the La-La Land Records website will receive an autographed booklet signed by composer Mark Mothersbaugh at NO ADDITIONAL CHARGE. Quantities are very limited. Orders are processed on a first come first served basis and you are not guaranteed a signed booklet. 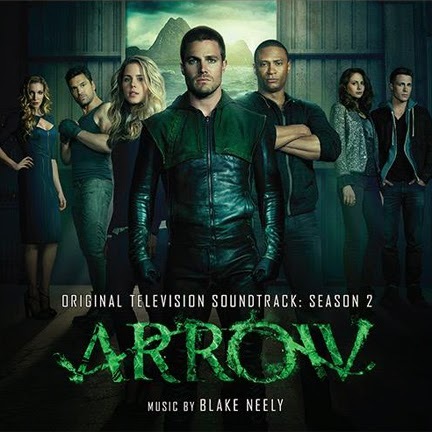 La-La Land Records, Watertower Music and Warner Bros. Television presents Arrow - Season 2, an all-new collection of exhilarating score music tracks from the hit television series Arrow, starring Stephen Amell, Katie Cassidy, David Ramsey and Willa Holland. Acclaimed composer Blake Neely (The Wedding Date, Everwood, The Mentalist) supports the continued, thrilling adventures of the famed hooded vigilante with an intense musical soundscape that has a power all its own. Neely personally selected, assembled and produced this compilation of Season 2's biggest musical moments! A must-have for all ARROW fans and film/tv music enthusiasts. Arrow currently airs on the CW network. CD features extra music NOT on the digital release! The first 100 or so people who purchase the cd directly through the La-La Land Records website will receive an autographed booklet signed by composer Blake Neely at NO ADDITIONAL CHARGE. Quantities are very limited. Orders are processed on a first come first served basis and you are not guaranteed a signed booklet. Announced.. if you are a fan you know I am.